Peter Evans (trumpet); Levy Lorenzo (percussion, electronics). American trumpeter Peter Evans is no stranger to the North Sea Jazz Festival, but Levy Lorenzo (percussion and live electronics) is coming to Rotterdam for the first time. New Yorker Evans is active in improv and avant-garde music circles; he is leader of the Peter Evans Quintet and plays in various other groups such as Mostly Other People Do The Killing. Lorenzo started out as a performance artist and designer working at the interface of music, art and technology. 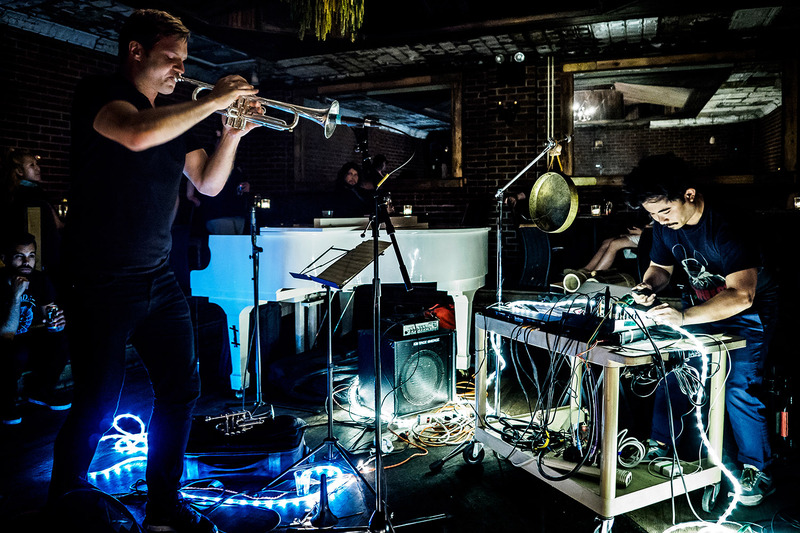 Evans and Lorenzo first played together in early 2016 in the International Contemporary Ensemble (ICE) and afterwards they decided to further explore their creative options as a duo. In their music, Evans' acoustic trumpet enters into a dialog with Lorenzo's sound experiments on self-made instruments, gongs, percussion and laptop. The result could be described as out of this world.